Today, ecommerce stores can offer advantages that traditional stores simply can’t. Learn when buying an e-commerce website is better. It probably comes at no surprise that shopping online offers greater variety and convenience to busy consumers. But, if you’re interested in opening a retail business, is it worth investing in online retail instead of a traditional store? Well, let the numbers speak for themselves: over the past seven yearsAmazon has quintupled their sales in North America — raking in $80 billion in 2017 alone. But, alas, not all e-commerce sites can live up to the success of Amazon. In fact, when operating in the shadow of billion dollar e-commerce companies, is there even a place in the market for emerging websites today? The short answer is a resounding yes — there is plenty of room on the Internet for e-commerce Davids and Goliaths alike. The key, however, is recognizing the advantages of owning a website over a brick and mortar store, and subsequently leveraging those perks to maximize profits. One of the most obvious perks to running an e-commerce site is there is virtually (pun intended) no overhead. Since your product is hosted online, there is no need to invest in real estate, which is a huge cost-saving measure. Granted, many prominent e-commerce titans — such as Warby Parker and Zappos — are opening stores, but they are in the minority, and owe a huge debt of gratitude to their humble, online beginnings. Automated operational processes also greatly cut down on costs. Depending on the size of your company, you can likely get away with operating nearly independently. Thanks to automated checkout, billing, payment inventory management, etc. you can avoid high employee costs and operate as close to autonomy as you want. Not only will operating online lower costs and help you increase your profit margin, but you can also pass those savings onto consumers in the form of competitive prices. Part of why e-commerce sites are so successful is their deals. How often have you experienced sticker shock in a store and said to yourself, “well, I’ll just buy it online.” You want to position your site as that affordable alternative that consumers can depend on for the best deals. There are countless dilapidated, empty malls around the country. And why? Because brick and mortar stores serve an extremely narrow customer base that alone cannot sustain a business. These days, only stores with mass appeal have lasting power. Hence the saturation of supermarkets and McDonald's in every community. However, thanks to the Internet, niche e-commerce businesses are experiencing renewed life since consumers outside of your area can discover your product with the aid of a search engine. Do you think something like Dollar Shave Club, a $615 million e-commerce company, could have survived next to a Walmart? Thanks to the decentralized nature of e-commerce, you can reach a much more extensive clientbase and market your niche product to interested consumers. Go ahead and startup that designer cat bed business — while it might not catch fire in your town, there is certainly a potential clientbase in the near-infinite online marketplace. Available space is a major inhibiting factors for growing businesses. It’s so common for companies to experience a small level of success, only to be limited by their space. At which point they can either spend thousands of dollars moving or accept the plateau and stop growing. 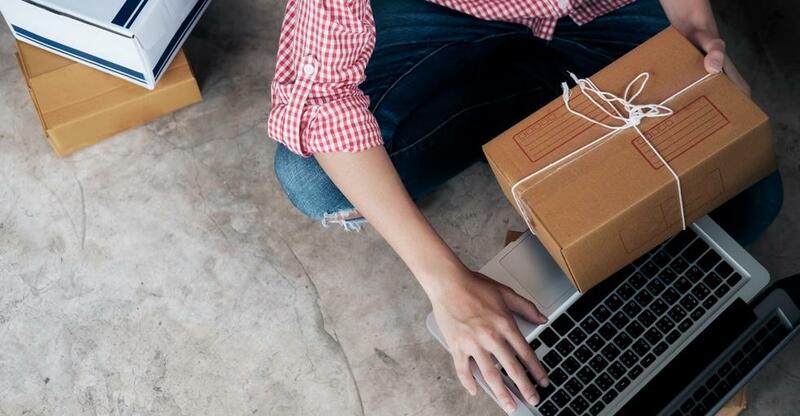 E-commerce companies, however, are easily scalable to growing business demands — there are no walls to barricade advancement. Don’t let space requirements dictate how far your company can grow. When you operate online, you are only held back by your own creativity. Breaking into the e-commerce market begins with recognizing the merits of this exciting industry. While maybe not as firmly established as brick and mortar stores, e-commerce businesses offer many advantages over traditional stores that specifically accommodate contemporary consumer demands and up-and-coming entrepreneurs. Ready to experience the advantages of e-commerce for yourself? Learn more about what it takes to buy, sell or run a website.